Amidst Republic Day celebration across the country, suspected militants triggered a low intensity Improvised Explosive Device (IED) blast in Imphal West district in Manipur on Saturday. Police officials said the IED exploded near by a wall of the camp of Border Roads Task Force (BRTF) at Lamphel area in Imphal West district at around 1 pm. There is, however, no report of any casualty in the blast. A top police official said that suspected militants planted the IED targeting security personnel. 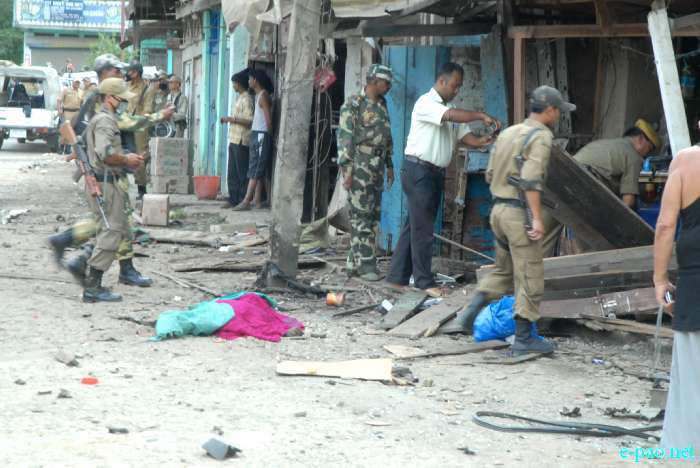 Manipur police and other security agencies have began an investigation into the incident. Eight banned militant outfits of Northeast gave Republic Day celebrations boycott call. The 70th Republic Day was celebrated in Manipur despite a shutdown called by insurgent groups. But public participation in the celebration was very low due to the shutdown. Besides the strike, prominent civil society organisations and student organisations had called for a boycott of Republic Day celebrations and related events in Manipur to protest against the Citizenship (Amendment) Bill.